Prime Minister Scott Morrison was not satisfied with an explanation given by Turkey’s Ambassador to Australia regarding comments made by Turkey’s President Recep Tayyip Erdogan threatening violence against Australian and New Zealanders visiting Turkey and ridiculing Anzacs following the Christchurch mosque attacks. New Zealand Prime Minister Jacinda Ardern has also been concerned by the comments and said on Wednesday that Deputy Prime Minister WInston Peters would tackle to Turkey at Istanbul’s request to attend a special meeting of the Organisation of Islamic Cooperation and to “confront” the comments that Mr Peters described as “unfair”. “He is going there to set the record straight, face-to-face,” Ms Ardern said. Prime Minister Scott Morrison has slammed Turkey’s President and threatened further action for “deeply offensive” comments besmirching Anzacs and threatening violence to Australians and New Zealanders following the Christchurch massacre. 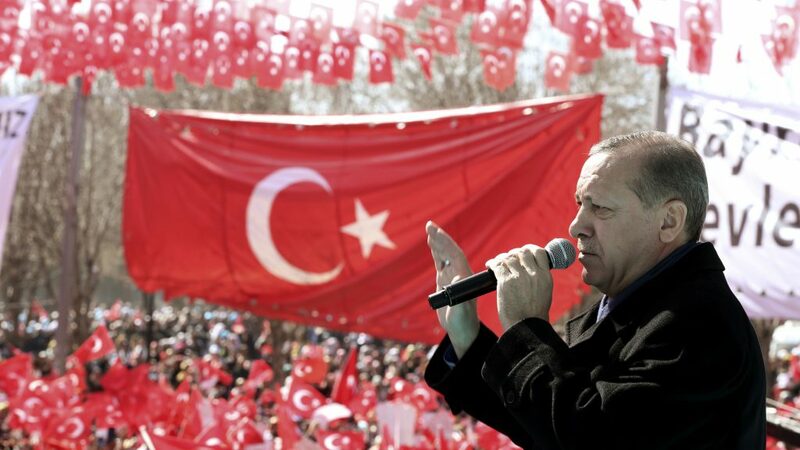 Mr Erdogan’s comments were made during his pre-election campaign as an effort to drum up support for his Islamist-rooted AK Party in elections at the end of the month. He warned Australian and New Zealand citizens that came to Turkey with anti-Islamist sentiments that they would be sent back in coffins like their grandparents, the Anzacs, were. Mr Morrison rejected the excuses given by Turkish Ambassador Korhan Karakoc. “I do not accept the excuses that have been offered for those comments,” Mr Morrison said, describing Mr Erdogan’s speech as ‘vile’ and calling for a retraction. Mr Morrison and Opposition Labor Party Leader Bill Shorten are in communication regarding the comments. Both are in agreement regarding the “unhelpful” remarks. “Intemperate and regrettable remarks like this only play into the hands of those who seek to divide,” Mr Shorten said. Mr Morrison and Mr Shorten would also continue to liaise with the New Zealand Government. The Australian Prime Minister has threatened further action against Turkey unless these comments are withdrawn. Australia will also review its travel advice for Turkey. A senior official of the Turkish presidency Tweeted on Wednesday that Mr Erdogan’s comments were taken out of context. In a tweet, Fahrettin Altun, Communications Director of the Turkish Presidency clarified that Mr Erdogan was responding to the so-called ‘manifesto’ of the terrorist who killed 50 muslims in Christchurch. “This is not an isolated event, it is something more organised,” he had said. Mr Altun said “the terrorist’s manifesto not only targeted Erdogan himself but also the Turkish people and the Turkish state” to explain the motivation behind the speech. He added that Turkish people have always been gracious hosts to Anzac visitors.